This is part two in a series about campaigns in HubSpot. In a previous post we went over how to create a successful campaign through HubSpot. Now that you’ve created a campaign it is important to track the data that will contribute to your content strategy. 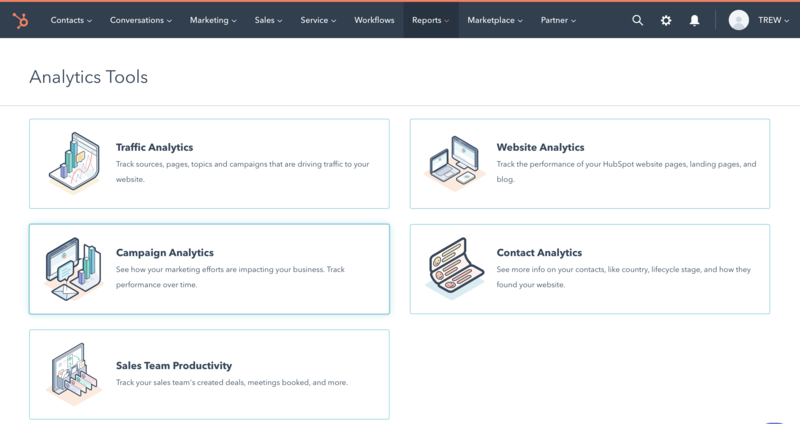 HubSpot makes it easy to gather and compare data from your most recent campaign to others you have done in the past. 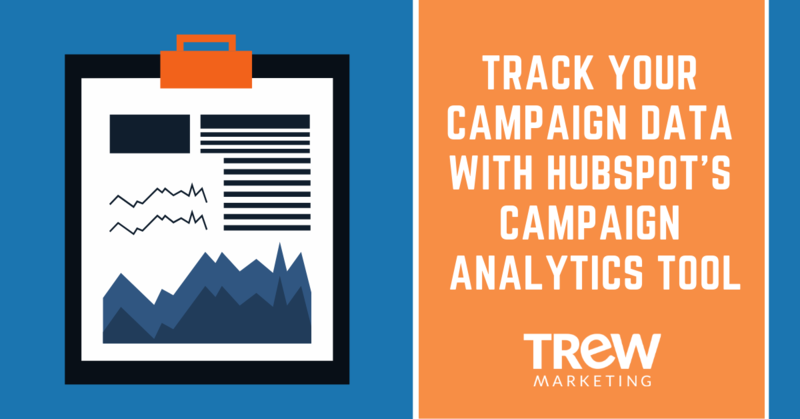 Where does campaign analytics fit into inbound methodology? The inbound methodology follows three key steps – attract, convert, and close. In this phase you want to determine how much, and the quality of, traffic your campaign is bringing to your site and how that traffic is engaging with your material. 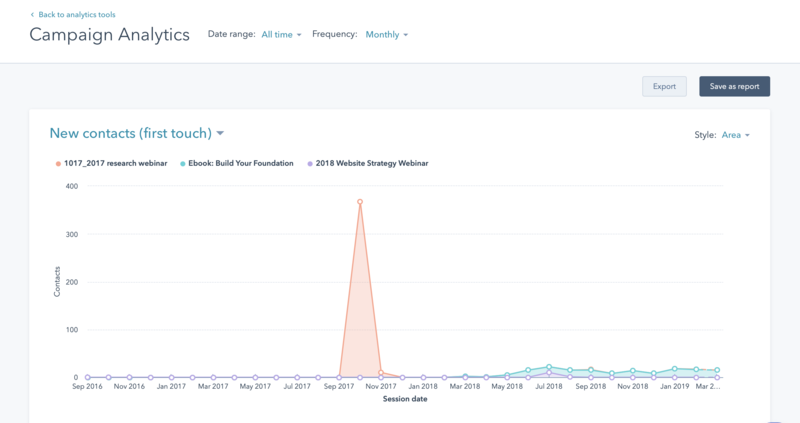 In this second phase you will track how many conversions your campaign is bringing in and how it is performing in relation to other campaigns you have run. It is helpful to think about campaign content on micro and macro scales. In this final stage you want to determine if the content you’ve created is influencing or generating any revenue for your company. This is done by identifying areas in reporting and analyzing campaign data that provides a wider scope of how campaign efforts have influenced deals. 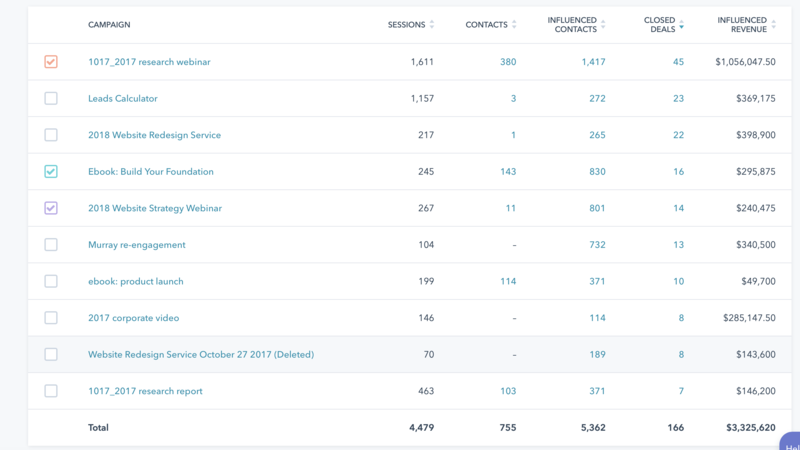 Once in the tool you will see a breakdown of campaign data in the top portion of the page, which can be adjusted by time, contacts, sessions, and much more. The bottom half of the page breaks down specifics of each campaign. This allows you to compare campaigns by checking the box next to the specifics campaign. 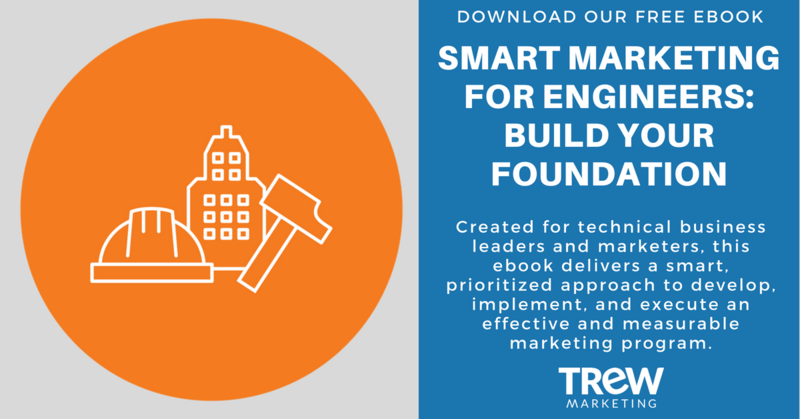 Learn more about creating a measurable marketing program by downloading our free ebook, "Smart Marketing for Engineers: Build Your Foundation."